Java developers tutorials and coding. 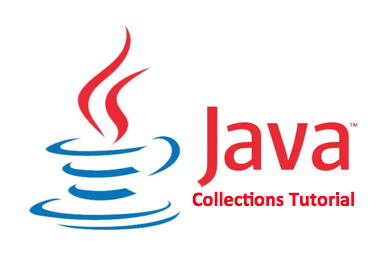 One of the start up java interview questions on Collections topic is difference between ArrayList and LinkedList , interviewer may also ask to write examples . We already discussed some other basic interview questions like difference between array and arraylist , difference between arraylist and vector . In this post difference between arraylist and linkedlist , apart from the differences , we will also discuss the similarities , examples and when to prefer arraylist over linkedlist. 1. Implementation : ArrayList is the resizable array implementation of list interface , while LinkedList is the Doubly-linked list implementation of the list interface. a. get(int index) or search operation : ArrayList get(int index) operation runs in constant time i.e O(1) while LinkedList get(int index) operation run time is O(n) . LinkedList does not provide index based access for its elements as it iterates either from the beginning or end (whichever is closer) to retrieve the node at the specified element index. b. insert() or add(Object) operation : Insertions in LinkedList are generally fast as compare to ArrayList. In LinkedList adding or insertion is O(1) operation . While in ArrayList, if array is full i.e worst case, there is extra cost of resizing array and copying elements to the new array , which makes runtime of add operation in ArrayList O(n) , otherwise it is O(1) . c. remove(int) operation : Remove operation in LinkedList is generally same as ArrayList i.e. O(n). In LinkedList , there are two overloaded remove methods. one is remove() without any parameter which removes the head of the list and runs in constant time O(1) . The other overloaded remove method in LinkedList is remove(int) or remove(Object) which removes the Object or int passed as parameter . This method traverses the LinkedList until it found the Object and unlink it from the original list . Hence this method run time is O(n). While in ArrayList remove(int) method involves copying elements from old array to new updated array , hence its run time is O(n). 3. Reverse Iterator : LinkedList can be iterated in reverse direction using descendingIterator() while there is no descendingIterator() in ArrayList , so we need to write our own code to iterate over the ArrayList in reverse direction. 4. Initial Capacity : If the constructor is not overloaded , then ArrayList creates an empty list of initial capacity 10 , while LinkedList only constructs the empty list without any initial capacity. 5. Memory Overhead : Memory overhead in LinkedList is more as compared to ArrayList as node in LinkedList needs to maintain the addresses of next and previous node. While in ArrayList each index only holds the actual object(data). 1. Not synchronized : Both ArrayList and LinkedList are not synchronized , and can be made synchronized explicitly using Collections.synchronizedList() method. 2. clone() operation : Both ArrayList and LinkedList returns a shallow copy of the original object ,i.e. the elements themselves are not cloned. 3. Iterators : The iterators returned by ArrayList and LinkedList class's iterator and listIterator methods are fail-fast. Fail fast iterators throw ConcurrentModificationException . We have already discussed the difference between fail-fast and fail-safe iterators. 4. Insertion Order : As ArrayList and LinkedList are the implementation of List interface,so, they both inherit properties of List . They both preserves the order of the elements in the way they are added to the ArrayList or LinkedList object. In real world applications , you will more frequently use ArrayList than LinkedList. But in a very specific situations LinkedList can be preferred. 1. ArrayList is preferred when there are more get(int) or search operations need to be performed as every search operation runtime is O(1). 2. If application requires more insert(int) , delete(int) operations then the get(int) operations then LinkedList is preferred as they do not need to maintain back and forth like arraylist to preserve continues indices. So we have covered difference between arraylist and linkedlist in java .In case you have any other doubt please mention in the comments . Subham Mittal has worked in Oracle for 3 years .